As well as the former Round Foundry site in Holbeck and the numerous former works sites of Hunslet there are a few other works sites scattered round Leeds. 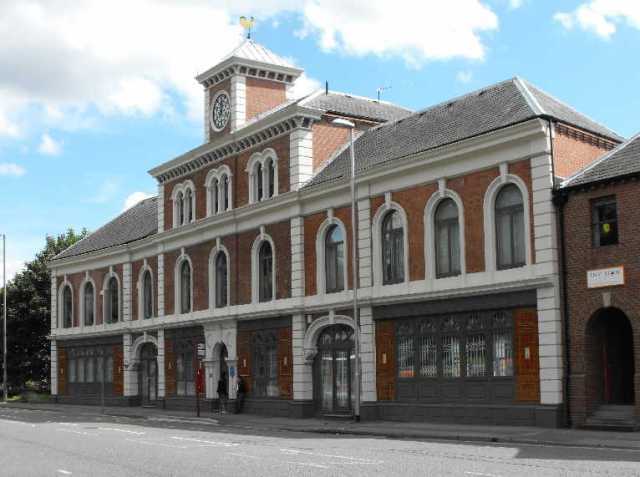 On the northern edge of the city centre on North Road the office building of Thomas Green's Smithfield Works still survives. This building was originally the Smithfield Hotel before being converted to the works offices, the works that once stood behind the office building have all been demolished. Note the name T. Green & Sons on the clock tower. The building is fitted with a blue plaque. Records from the North Eastern Railway show that they built ten of their locomotives in their own loco sheds at Armley. The locomotives in question appear to be very similar to locomotives they had built at the Railway Foundry and it is possible that they could have been supplied from the Railway Foundry in kit form, a similar arrangement having been done with the Midland Railway, more research is needed on this matter. The North Eastern Railway's early loco sheds largely survive today next to the Armley Gyratory in various retail and light industry uses. 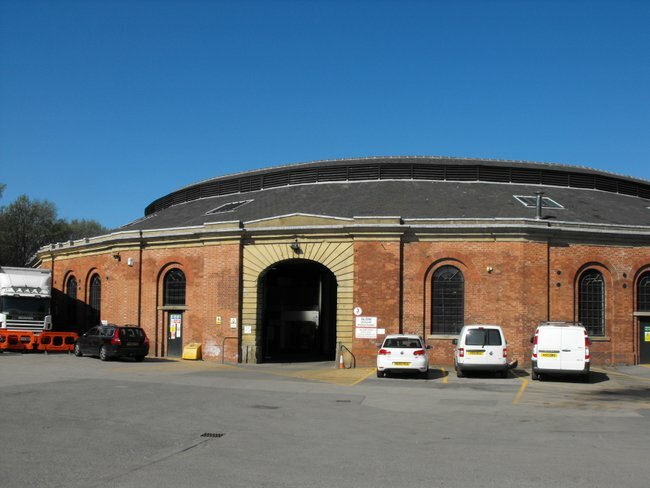 There is the roundhouse and a half and a long straight building that would have housed the maintenence facilities where any locomotives would have been assembled. The locomotive department transfared to Neville Hill in 1904, and to this day this remains the main passenger train maintenence facility for Leeds. 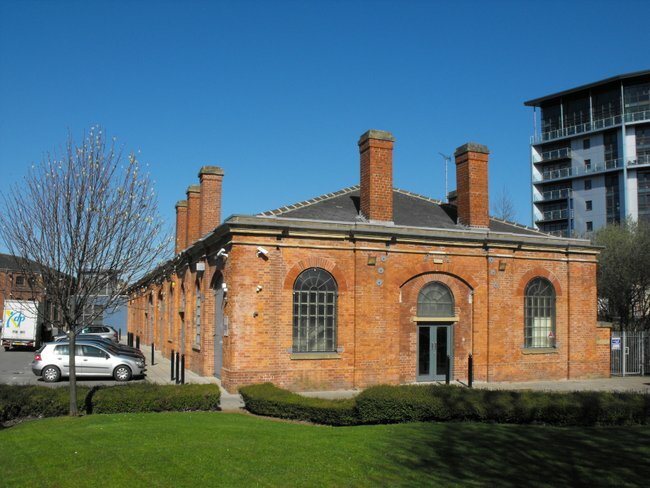 One notable feature of the old roundhouses is how small the turntables were, the facilities may have been big enough for the Victorian engines but in later years larger locomotives were built and it was not possible to expand these existing facilities. Above - The former maintenence facilities. Nearby in Armley stood the Albion Works of Greenwood & Batley. Here they made all manner of machinery, including large numbers of battery electric locomotives. The company went bankrupt in 1980 and was bought by Hunslet Engine Co who subsequently transfared the work to Hunslet. The Albion Works was mothballed for a time but ended up demolished, nothing remains of the works today and the name can only be seen on The Albion pub that stood next to it, this itself is now closed. Thomas Smith & Son (Rodley) Ltd.
As Hunslet was a great centre for locomotive production the Rodley area of Leeds was notable for the production of cranes. The two biggest firms producing steam, diesel and electric powered cranes were Thomas Smith and Joseph Booth. 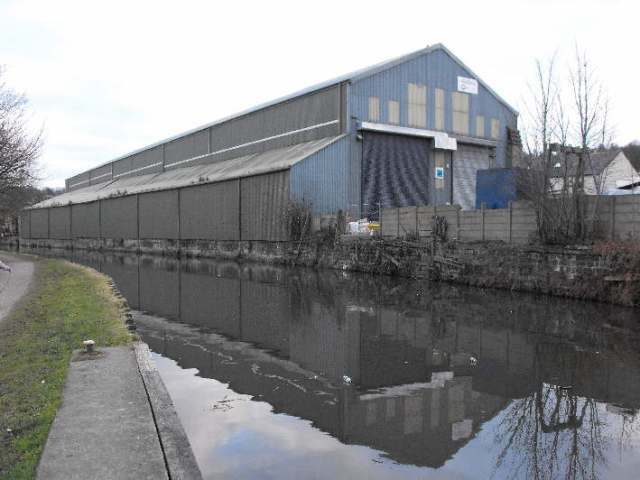 There works were situated next door to each other on a narrow strip of land between Town Street Rodley and the Leeds & Liverpool Canal. A series of mergers saw the two companies become part of the Clarke Chapman Group and cranes are still made under the Wellman Booth name, the firm has however moved out of Rodley now with offices situated in Yeadon and engineering work carried out in Gateshead. The former Booth works has been demolished and the land used for housing development but the former Smith works survives in industrial use. Railway lines can be seen in the yard next to the works. Though the works was not connected to the mainline railway system these tracks would have been used for moving the many rail mounted cranes they built around the site. Below – The former Old Foundry of Thomas Smith & Son.